In our book, WHAT ABOUT WALLY? How to Co-Parent A Pet With Your Ex, we discuss all the topics that people who are going to be sharing the love of a dog need to know. Frequently we are asked the three main things that someone should consider when developing a parenting plan for a pet, and they are Licensing, Equal Parenting, and Attitude of the Parents. Domestic animals such as dogs and cats are generally viewed by the courts in America as property. Most pet owners have a much deeper and loving relationship with their pets than their furniture, and while the court may view pets as no more valuable than a big screen TV, most pet owners would disagree. This love of an animal is why the responsible pet owner needs to make sure that they are properly registered as the owner/caretaker of their beloved pet. Whether that registration is with the local Animal Control by way of a pet license, which usually costs under $20 a year, or with the local animal rescue society, the fact that a person has taken affirmative step to assert their relationship with a pet is a crucial piece of protection for the animal and for the pet parent. When couples break up, but wish to continue the relationship with the pet if not the ex, they need to remember that the boundaries and routines they have established with their pet need to continue being enforced. This means that each parent will continue to treat the pet with the same love and not engage in “over-loving” the pet. If the treats suddenly become more frequent, or the dog that was not allowed on the couch is suddenly allowed to be up on the furniture at one house but not the other, it is going to cause problems. This type of sabotage of the agreed upon bounds will only lead to resentment, and eventually the co-parenting will fail and one parent will decide that it is too much trouble and just stop sharing. Remembering that even though you may not like the other person as a spouse, there was something about them you did like, and that they still love Wally is an important element in making a co-parenting plan work for everyone’s benefit. The parties need to remember that they may disagree about a love life, but they do agree in wanting the best for Wally, and that should inform their attitude towards their ex. By maintaining a cooperative attitude on issues such as food choice, leashes, and workout routines, they can each enjoy Wally and increase the love in their life. Sharing a pet is a wonderful learning experience in cooperation, consideration, and negotiation. 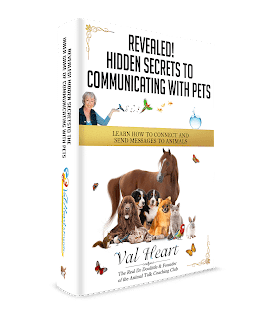 Pets are loved by humans because they have so much to teach us of value, and this new area of relationships, is one more place that pets can teach us new and helpful skills. The book WHAT ABOUT WALLY? 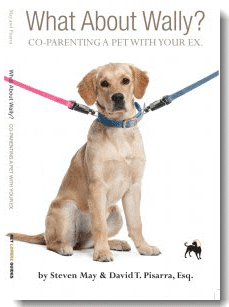 How to Co-Parent a Pet With Your Ex is a self-help guide to the latest skill your pet can teach you. Available on Amazon.Com and BarnesandNoble.com. Please listen in to our interview to learn more tips about successfully co-parenting a pet. David T. Pisarra, Esq. heads the Santa Monica, CA family law firm of Pisarra & Grist and is a weekly columnist for the Santa Monica Daily Press. He has written three books on divorce and is the proud co-parent of 8-year-old, long-haired Dachshund named Dudley. Pet expert Steven May has served as a consultant to the pet industry for 35 years. A frequent expert source to the media, Steven heads the popular online destination The Daily Growl where he shares daily tips and advice with his nearly 100,000 followers.